Kukje Gallery is pleased to present Koo Bohnchang, a solo exhibition of work by the artist on view from December 14, 2018, through February 17, 2019, at the gallery’s Busan space. This marks Koo’s third solo exhibition at Kukje Gallery, seven years since his previous solo shows in 2011 and 2006. 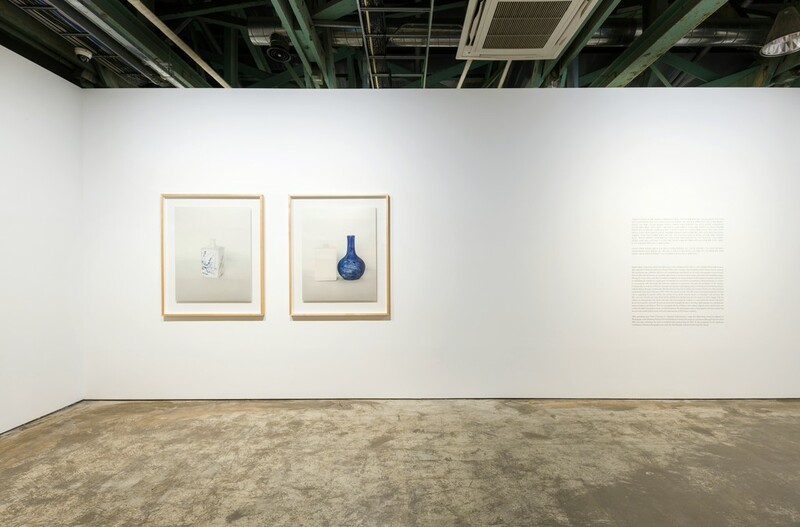 Featuring approximately thirty works, Koo Bohnchang includes about ten new photographs from his latest series Blue-and-white Porcelain Jar, shown in conjunction with two large-scale works titled Ritual Ware and Water Dropper. 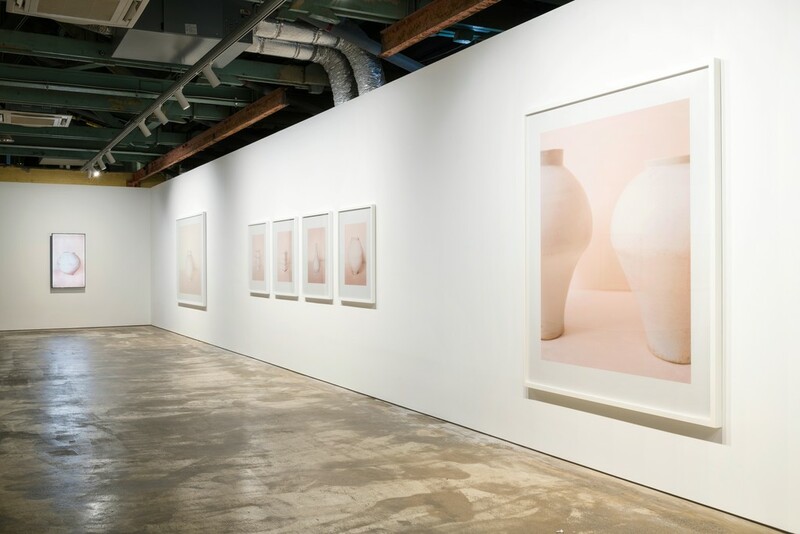 In addition, the exhibition will include approximately ten photographs from his signature series Vessels, first shown in the 2006 exhibition at Kukje Gallery. The eponymous solo exhibition will serve as a comprehensive introduction to the artist’s photographic œuvre of nearly three decades, providing an invaluable opportunity to experience Koo’s unique philosophy and evocative images. During the course of his career, Koo's constant investigation into the possibilities of photography has played a pivotal role in establishing the medium as a major genre of contemporary art in Korea. Committed to using photography as a means to communicate with the world, the artist has continued to experiment and push the boundaries of the medium. While his work initially began as a reserved meditation on nature, it has evolved to encompass an expansive and ongoing project of viewing and reinterpreting Korean cultural artifacts through a modern lens. His best-known series Vessels explores the harmony between the white porcelain masterworks of the Joseon Dynasty (1392 – 1897), the camera, and the artist. The series in particular has played a seminal role in expanding his practice within the context of an artistic journey woven in coincidence and necessity. Koo’s Vessels series has helped to shift the way in which Joseon Dynasty ceramics are read and recontextualized. Rather than merely depicting the white porcelain, Koo’s compositions offer a unique method of interpretation, using the photographic frame to reinterpret the shape of the vessels—breathing new life into their material and form. By allowing the imagination to impact our perception of the artifact, he removes the boundary between the image and its essence. Koo’s photographs are not taken under any special lighting nor framed as spectacular. Instead, the artist composes these objects in an aesthetically reserved manner, framing them as powerful and ambiguous; they may reflect the gaze of an anonymous ancestor looking at the vessel in natural light, or the gaze of a potter who dreams of the ideal vessel. It would not be an exaggeration to say that Koo’s photographs not only define the core beauty of each vessel, but also rediscover what was only partially recognized. The Vessels series rejects the stereotype that photographs must be defined by strict realism or mechanical perfection. This approach allows Koo to capture a wonderfully surreal aspect of these special works of art, exploring the blurred line between the subject (vessel) and its background (space). In this way his psychologically infused images capture a feeling of sentiment within a visual and tactile synesthesia, presenting a simultaneously flat and three-dimensional effect that brings them to life. 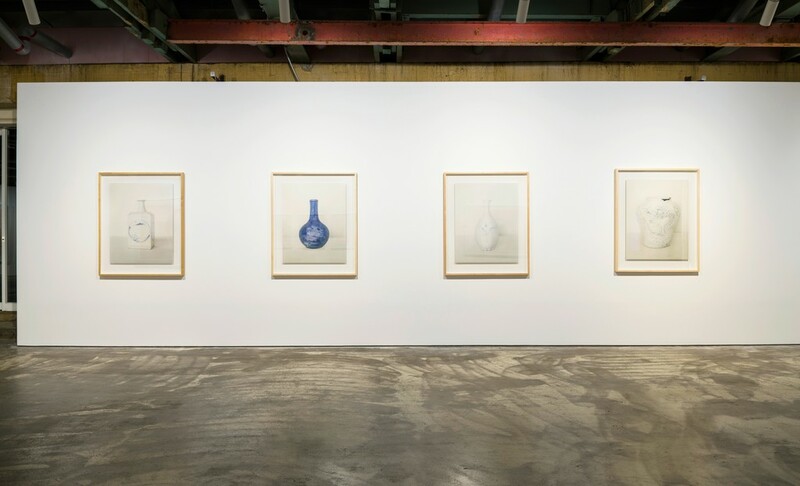 While the Vessels series highlights the beauty of negative space, irregularity, and imperfection, the Blue-and-white Porcelain Jar series, which will be exhibited for the first time since its creation in 2014, engages with the subjects of contemporary taste, desire, and value. The artist first came across the blue porcelain of the Joseon Dynasty during the 2014 exhibition titled In Blue and White: Porcelains of the Joseon Dynasty at the National Museum of Korea. These exquisite objects historically served in a range of functions from jars for storing alcohol to bowls and dishes, as well as accessories used by scholars. Regardless of their role, they were both utilitarian and designed for appreciation. However, due to the incredibly high value of the imported blue pigment, a substance similar to the prized lapis lazuli of Ancient Mesopotamia, the vessels were once banned from being used outside the royal court and consequently had to be smuggled through envoys. Koo speculates that the reason for the purity and simplicity of Korean porcelain, as distinguished from the elaborate designs seen in Chinese and Japanese traditions, was not only the influence of Confucianism but also the lack of access to the precious pigment. It is this theory that has helped inform the austere beauty of Koo’s photographs. Like Vessels, the Blue-and-white Porcelain Jar series focuses on the subjectivity of these precious objects, and the way they engage a philosophy of wholeness and emptiness. Koo Bohnchang's Vessels and Blue-and-white Porcelain Jar series both exemplify his view that, “[p]hotographs are a dividing line between existence and absence.” This view, in turn, is echoed by Roland Barthes who wrote in his book La Chambre Claire, “[p]hotographs are proof of existence”; the nature of the photographic medium itself is both proof of existence and proof of absence. Although the artifacts that Koo captures exist in the present through his viewfinder, he reminds the viewers of their past lives and asks the audience to consider the subjectivity of time. 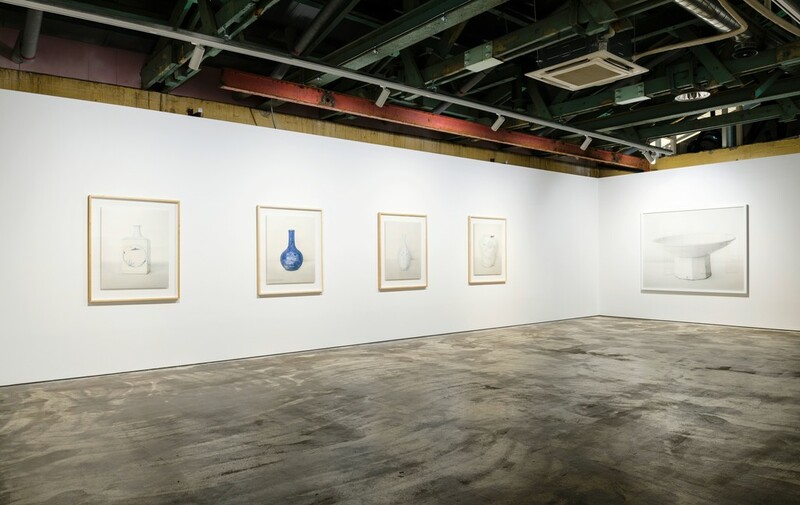 Since his early works like Good-bye Paradise (1993), Breath (1995), and Mask (2002), as well as the Gold series which began around the same time as Blue-and-white Porcelain Jar, Koo has demonstrated his continuing interest in exploring themes of existence and absence, fullness and emptiness. Despite the loss of links to these objects’ original owners, initial values, and contexts, the objects remain. The photographs capture this longevity, emphasizing the two main motifs of Koo’s work: time and impermanence in the human condition. The artist’s ongoing practice means that he journeys all over the world to locate and document different examples of white and blue porcelain, gold artifacts, and other objects of unique provenance. In addition to the Vessels and Blue-and-white Porcelain Jar series, the exhibition will showcase Ritual Ware, Water Dropper, and Blue-and-white Porcelain Folding Screen. The two large pieces, Ritual Ware and Water Dropper, installed at the entrance of the exhibition space welcome the viewers into the exhibition. 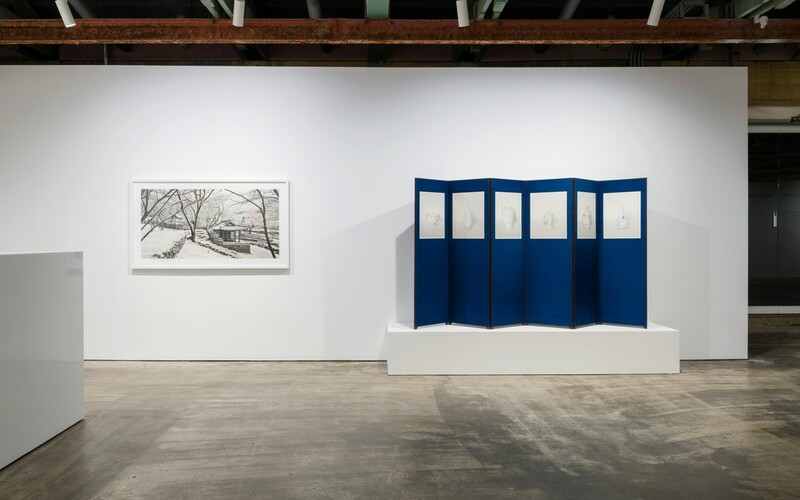 Directly opposite, mounted on top of a pedestal like a sculpture, Blue-and-white Porcelain Folding Screen further illuminates Koo’s deep affection towards the ordinary object. Peering through the empty spaces between the works, the viewer is struck by a universal emotion marked by our fading attachment to material possessions and the quiet moments of communication we have with everyday objects. After graduating from Yonsei University as a Business Administration major, Koo Bohnchang earned his diploma in Photography at the Hamburg School of Art and Design in Germany. He has taught at Kaywon University of Art and Design, Chung-Ang University, and Seoul Institute of the Arts, and since 2010 has worked as a professor at Kyungil University. Since retirement, he has held an endowed-chair professorship. In addition to participating in numerous group exhibitions, Koo has held major solo exhibitions in Korea and abroad, including Samsung Rodin Gallery (2001), Peabody Essex Museum, Salem (2002), Galerie Camera Obscura, Paris (2004), Kahitsukan, Kyoto Museum of Contemporary Art (2006), Goeun Museum of Photography (2007), Philadelphia Museum of Art (2010), Ivorypress, Madrid (2013), Villa Flor, Switzerland (2014), Dong Gang Museum of Photography (2014), and Civic Aquarium of Milan (2018). Throughout his career, Koo has received several notable awards, including the second Lee Myung-Dong Photography Award (2000), Gangwon Documentary Artist Award (2008), and the thirteenth Dong Gang Photography Award (2014). In 2015, he was recognized for his significant contribution to Korean photography with the 47th Republic of Korea Culture and Arts Award. His works are held in major museum collections, such as the British Museum, London; Museum of Fine Arts in Boston; Museum of Fine Arts, Houston; San Francisco Museum of Modern Art; Philadelphia Museum of Art; Carnavalet Museum, Paris; Guimet Museum, Paris; Herzog Foundation, Basel; Kahitsukan, Kyoto Museum of Contemporary Art; National Museum of Modern and Contemporary Art, Korea; and Leeum, Samsung Museum of Art.